Bob Baldwin and Lori Williams smooth it out on "My Love"
(January 31, 2019): Bob Baldwin was a kid living on the outskirts of New York City when he first fell in love with the melodies of The Beatles. But it is unlikely that he could have predicted that later in life, as one of the most respected contemporary jazz artists, he would be paying tribute to the Fab Four. 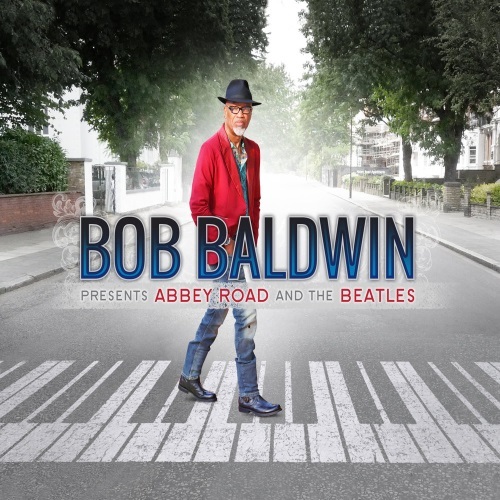 Well, that’s what’s happening on Bob Baldwin presents Abbey Road and the Beatles, Baldwin's star-studded 25th album release, out now. Baldwin has spent much of his recent years creating tasty tributes to such musical legends as Michael Jackson, Stevie Wonder and Philly producer supreme Thom Bell, and his Beatles tribute has the same easy swing to it as the others. And with guests such as CeCe Peniston, Euge Groove and Ragan Whiteside, he’s put together a winning combo of stars to help him on the ride. For our latest SoulTracks First Listen, we’re presenting a beautiful take on Paul McCartney’s solo hit, “My Love,” with Washington DC vocalist Lori Williams fronting the sweet piano and melodica work by Baldwin. This is cool late night listening. Check out “My Love” below and tell us what you think.